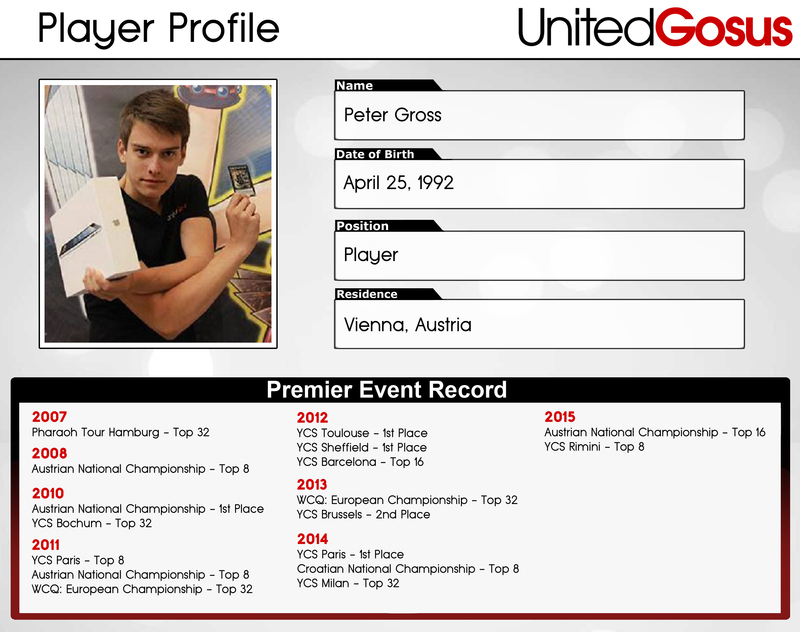 Hi, my Name is Peter Gross. I’m 23 years old and I live in Vienna (Austria) where I study Law. Believe it or not, but I started playing even before the game was released in Europe! Fascinated by the manga, a friend and I bought Japanese cards and imagined effects according to their pictures. Since then I never quit the game, although I paused from time to time. What I love about Yu-Gi-Oh! is that I have made great friendships over the years and it encourages me to travel all over Europe. Whenever there is a YCS/EC I arrive two or three days prior to do some sightseeing. I am known to be an aggressive, fair and creative player. My slogan in Yu-Gi-Oh! is: „Zwo, Eins, Risiko!“. I’d rather run into a Starlight Road and lose than let someone bluff me. Apart from Yu-Gi-Oh! I spent my spare time to play some squash (racket ball) or go snowboarding in the winter. I also learn a lot for my study or spend time with my wonderful girlfriend. Like everyone else I enjoy good movies, music and meals.